Several peculiar wooden sculptures that have a mysterious history about them were recently put up for sale at a prestigious New York City auction house. 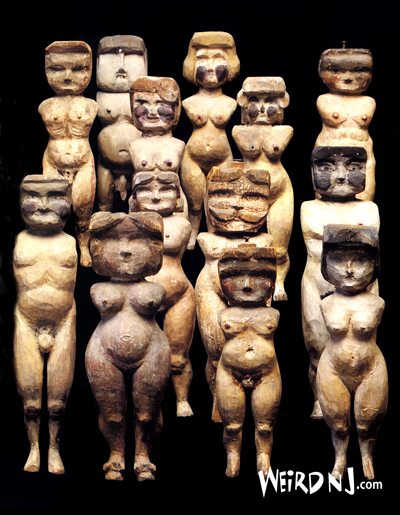 The origins of the “Woodbridge Figurines” are unclear, although the figures themselves are well known amongst folk art collectors. The figures, which range in height from three to nine inches, were found in a shack in the late 1960s near the old clay pits where Woodbridge Center Mall now stands. 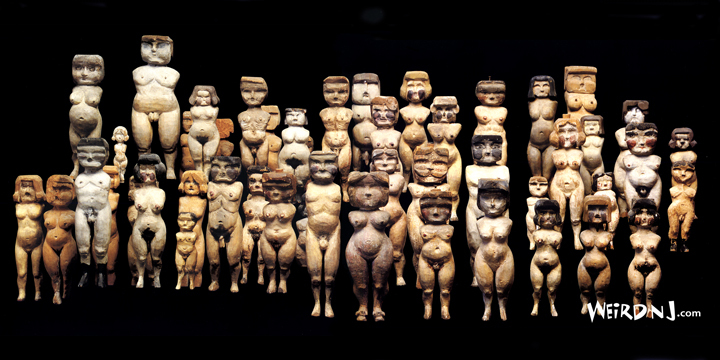 The carved wooden figures, which number more than 100 in all, closely resemble the primitive fertility idols used by prehistoric aboriginal tribespeople. They are described as deeply personal and weird, sometimes suggesting some sort of mental malady. Most are armless and some are partially painted. The faces are very defined and well articulated. Experts believe whoever made the carvings had the representation of a specific person in mind. Another strange characteristic of the idols is that each one had a hole bored into the top of its head, into which a small stopper was inserted like a cork in a bottle. The purpose for this is not known. The family that lived in the woods was described as a primitive miniature society, and neighborhood children were warned not to venture into the woods or go near the family’s home because of their vicious dogs. Some say the family was descended from Hessian mercenaries from the Revolutionary War, who had deserted and fled into the woods. 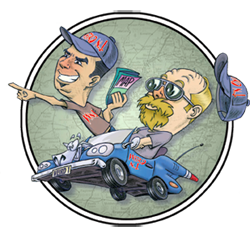 The curious figures were purchased about twenty years ago in New York City from an unidentified person who told the buyer that a construction worker found them in a shack just before the construction of the Woodbridge Mall began. The buyer, wanting to find out more information about the figures, sent a gallery intern out to Woodbridge to investigate. The intern came back “spooked,” saying she never wanted to return. She heard a notebook existed containing names that pertained to the figures, but never found out more. She had also heard the stories of a strange clan living in the woods near the clay pits. Other people remember a woman known as The Walker, whose sons were described as “inbred.” The church located there was not known for any religion, but it is remembered as having pews, being barely painted, with a sparse decor. John O’Connor, a former member of the Woodbridge Historical Society remembers stories of the church being a “healing place” that people would walk to and be cured of their ills. He mentioned that the site of the church, woods and the former Valentine Brick Company, is now the Fortunoff parking lot on Route 9. Another member of the historical society contacted the owner of the property prior to the building of the mall trying to research the figures and the family, and was told the stories weren’t true. When asked what the true story was, the former owner would not say. The Woodbridge Figures are currently part of the private collection of Gael and Michael Mendelsohn of Westchester, NY, who are well known collectors of self-taught, folk and “Outsider” art. 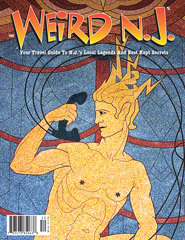 The preceding article is an excerpt from the book Weird NJ book, “Your Travel Guide to New Jersey’s Local Legends and Best Kept Secrets, which is available on Amazon and through our web site at www.WeirdNJ.com. 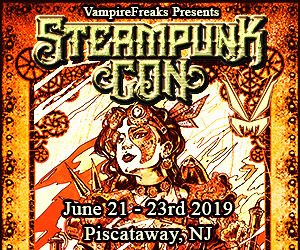 This entry was posted in Fabled People and Places and tagged clay pits, dog patch, figures, inbreds, middlesex county, Outsider Art, Woodbridge. Bookmark the permalink.